Tonight, I had dinner with a friend that I hadn’t really talked to in a long time. 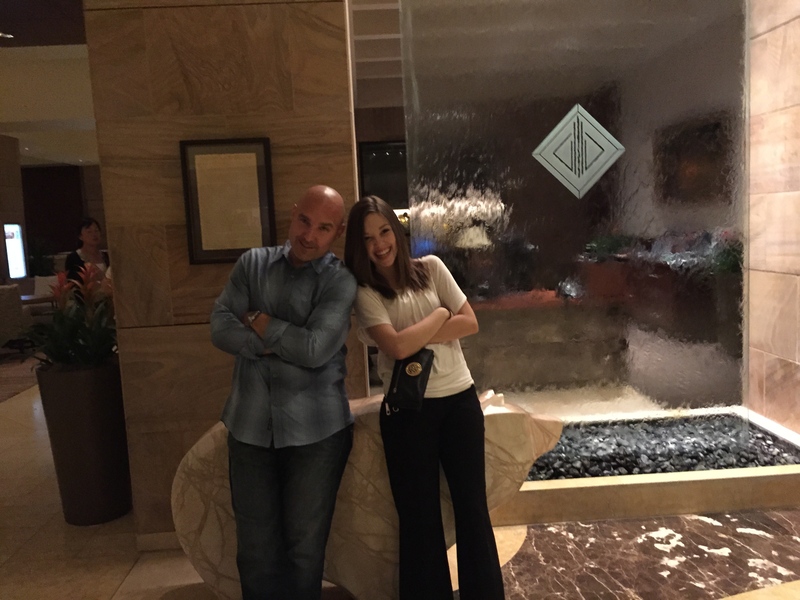 We had a great time catching up at dinner. She is in the CNA program at our school, but when asked whether she wanted to be a nurse, she said absolutely not because the blood makes her pass out. She started telling stories about getting blood drawn, and her stories were pretty funny. However, what wasn’t funny is that almost every story she referenced how the nurse or person drawing her blood didn’t understand that she can’t help passing out or vomiting. It is something that just happens to her. She has tried to work through it, but regardless, she either gets sick or passes out each time. I also found it interesting that she is thinking about a career as a child life specialist so that she can help kids not be scared. When I was first diagnosed, I was terrified at having blood drawn. It literally made me anxious and sick. Now, I am pretty sure I could start my own IV and take my own blood. 🙂 However, I think it is important to remember that these things are not routine to everyone. Their fear and symptoms can be very real to them. At the very least, we should acknowledge them when they tell us and see what we can do to ease the fears. 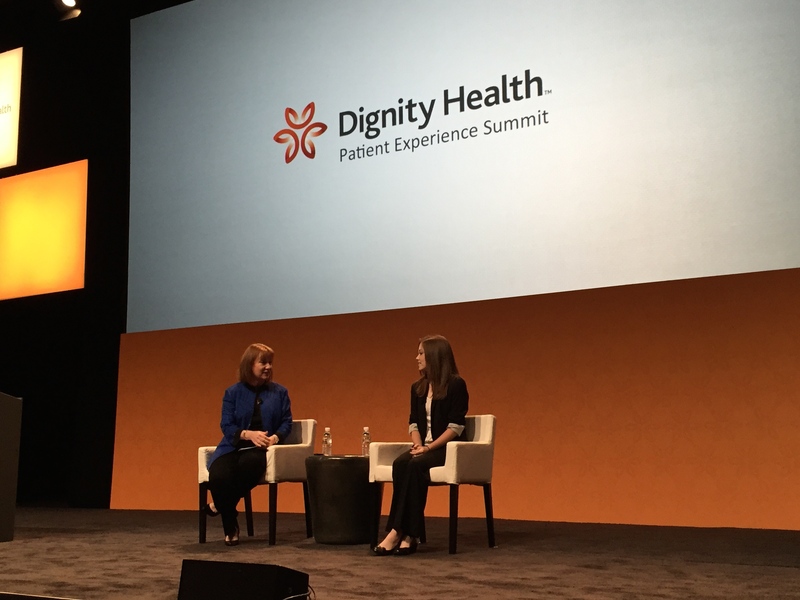 Last fall, I was honored to be invited to speak at the Dignity Health Summit Patient Experience Summit. I wrote about it here. Dignity Health has been kind enough to share the video from that event with me and has given me permission to share it. I would love for you to leave any comments about it. 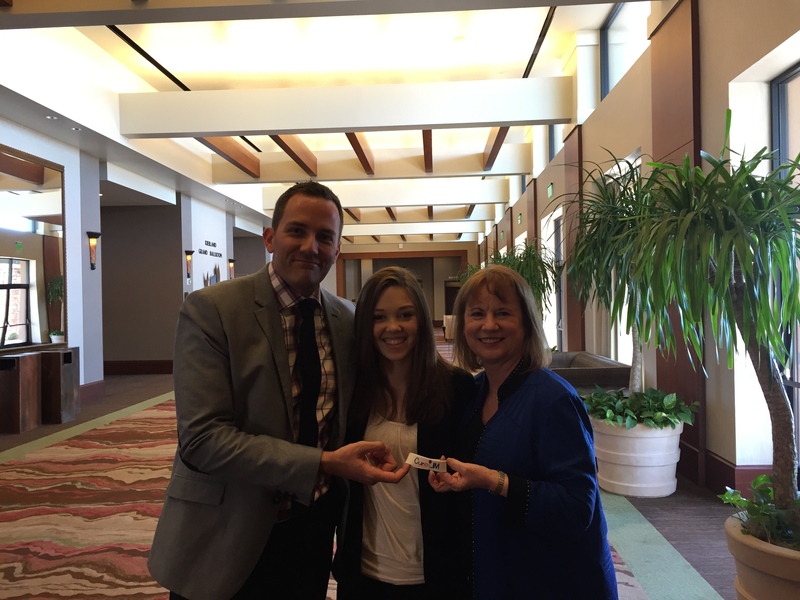 Thank you to Dignity Health for having me, for sharing the video, and for supporting Cure jM! I had to do a survey for my math class, so I decided to do something interesting to me. 🙂 Here is my output, and I would love to hear what you think about the data. Are you surprised by anything? Do you think the sample is representative of a bigger population? The goal of the survey is to determine how having a chronic disease affects the use of medications, tracking between visits, number of visits to the doctor annually, and the overall perception of the healthcare system. Does chronic disease alter the healthcare experience? Participants will be recruited through email and twitter and will be asked to complete a six question online survey using the SurveyMonkey survey tool. The recruiting process will continue until 10 days or until at least 75 people have responded. The survey first went out on November 3, 2014, and these results were finalized on November 17, 2014. The questions are multiple-choice questions with an option to write in a additional response on two of the six questions. 1. Do you have a chronic disease? 2. How many medications do you take regularly each day? 3. How many medications do you take on an as needed basis (only when you need them)? 4. What types of information do you track regularly? 5. How would you rate your satisfaction with the healthcare system as a whole? 6. How many times do you go to the doctor a year? Overall, 118 participants responded to the survey. 52.99% or 62 respondents said that they have a chronic disease. For the remaining five questions, the results are shown below where “yes” means the participant answered that they have a chronic disease, “no” means that the participant answered that they did not have a chronic disease, and “Not sure” means that the participant answered that they did not know if they had a chronic disease. Question 2: How many medications do you take regularly each day? Question 3: How many medications do you take on an as needed basis (only when you need them)? Question 4: What types of information do you track regularly? Question 5: How would you rate your satisfaction with the healthcare system as a whole? Question 6: How many times do you go to the doctor a year? The percentage of respondents who said they had a chronic disease was 53%%. According to the Center for Disease Control, about half of US adults have a chronic disease, so this result was as expected. I compared the results of the participants who said they had a chronic disease to those who said they did not or did not know. I was surprised that 12.5% said they did not know if they had a chronic disease. As expected, people with chronic diseases took more medications more often than those who did not have a chronic disease. 90% of the chronic disease participants took at least one regular medication each day, but only 49% of the non-chronics and 63% of those not sure if they are chronic took at least one medication each day. It was also noted that 19% of chronics took 9 or more medications each day, and none of the non-chronics or not sure group took 9 or more. As expected, the chronic patients took more as needed medications than the other groups. When asked how many medications were taken on an as needed basis, the chronic disease population took medications on an as needed basis 89% of the time compared to 66% for the non-chronics and 63% of those who didn’t know if they had chronic disease. It was interesting that none of the groups took more than 5 as needed medications on a regular basis, and the non-chronic group either took non or 1-2 as needed medications. 38% of the not sure group took 3 – 5 as needed medications regularly while only 16% of the chronic group did. When asked about information that is tracked regularly, weight was tracked close to 50% of the time in each group and was the most commonly tracked item. Also, blood pressure was tracked about 25% of the time in all three groups. As expected, the chronic group tracked most often with 90% of them tracking at least one item compared to 60% of the non-chronics. Surprisingly, 62% of the not sure group tracked regularly. In the chronic group, pain and symptoms were tracked about half of the time in the chronic group but not very often or at all in the other groups. When asked about overall satisfaction in the healthcare system, I was surprised to not see a huge difference between the chronics and non-chronics. The responses were fairly similar with slightly more of the chronics being somewhat satisfied when compared to the non-chonics and slightly more non-chronics being somewhat dissatisfied than the chronics. The most surprising group to me was the not sure group who had 0% very satisfied or somewhat satisfied, and a whopping 37.5% very unsatisfied. When asked how often they went to the doctor, it was not surprising that the chronics went more often than the non-chronics, but it was surprising to me that 25% of the chronics went more than 13 times a year and that 68% of the non-chronics went to the doctor only 1 – 2 times a year. My hypothesis was actually that chronic disease patients would have a more negative view of the healthcare system, and that was not found in the data. The group that isn’t sure about having a chronic disease seems to be the group with the least favorable view, and non-chronics seemed to have a slightly worse view than the chronics. I would love to learn more about the not sure group to see if they are undiagnosed patients which might explain their higher medication usage, tracking behavior, and visits to the doctor. For my math class, I have to do a survey and then write a report on the methodology, determine the confidence intervals, and summarize the results. I thought I should at least try to make it interesting, so I did a survey to figure out how much having a chronic disease affects medications, healthcare satisfaction, medications, tracking things, and doctor’s appointments. Please take my 6 question survey and share with your friends. It is very quick! I will share the results when it is finished. It was really great to see how all of their hospitals are embracing the patient experience. I am always inspired to see people trying to make it better for patients, and it makes me hopeful for better healthcare experiences for all patients. I was so happy that the leaders were willing to take pictures with me and my Cure JM bracelet, and they were nice to learn about Juvenile Myositis and Cure JM. I was honored to be asked by the University of California San Francisco (UCSF) Peds by the Bay team to write a “Reflections from a Patient” post. Not only was I happy to be asked to share my experience and thoughts, but I got to work with a great editorial team. I am also the first one to write a patient reflections piece, and I hope that it starts a trend. Patients really do need a voice. Here is the link to the post on their site http://pediatrics.ucsf.edu/blog#.VD9DIdTF9Ec. The Peds by the Bay Blog is fortunate to welcome our first post on the patient’s perspective, from a well-known blogger, Morgan Gleason. Her perspective below highlights her thoughts on today’s medical care in general and is not directed at any hospital or clinic in particular. Last fall, I went into the hospital to get my regular Solumedrol and IVIG treatment that I had been getting for about 3 years. After the treatment, I usually get a bad headache that sometimes lasts for a few days, but this time, it was different. I was discharged from the hospital on Friday, and on Saturday my headache was worse than normal, and I had new pain in my knee and back. I went to the Urgent Care because Advil and Tylenol were not working. They prescribed Vicodin, and other than me acting a little crazy and getting some short-term relief, the headache was still very bad. That Monday, we called my doctor. He said to wait it out and maybe it was a virus. When we called back on Tuesday, he prescribed a higher dosage of steroids to take for a few days to see if that helped. Several times, we discussed going to the ER but I didn’t want to go because I knew it would mean a spinal tap. By Thursday night, I was lying on the bathroom floor crying. My mom said enough was enough and took me to the ER. The spinal tap was done and showed white blood cells in the spinal fluid, which meant I had meningitis, so I was admitted for 8 days. When I was doing better, they send me home. I had a few rough days after I got home, but then I finally felt better. It took me a few months to get my strength back and to be able to really feel better, but I was healed. I was relieved to be back to riding my horse and hanging out with my friends. However, I also realized, as I looked back on my hospitalization and the weeks afterward, that many times, the things I went through were tougher than necessary for my family and me. I realized that some small changes could really have improved our experience, and I decided to speak up about them. Please be aware that we are very happy with our doctors and hospital. These are common issues that I have experienced with most doctors and hospitals and they are meant as examples to inspire improvement. When you are very sick and not feeling well, it can be terrifying. When the call is made to the doctor’s office and the patient (or mom) says that they are very worried, it shouldn’t take hours to be able to talk to the doctor. In most cases, we are asked to leave a message for a nurse who will call back when she has time – this could be hours or even the next day. To get a response from a doctor at the time you call, or a few minutes after you call, would be a huge relief to patients and families alike. When you are sick and concerned, minutes are not just minutes, they are each 60 seconds of anxiety and stressing that something could be very wrong. I know that teaching is very important in healthcare, and I usually try to teach the med students and residents about my rare disease so that maybe they will be more familiar with it than your average doctor. However, it is not comforting to hear things like, “I haven’t ever done a spinal tap before. Can I do this one?” I already get stressed about spinal taps due to a complication I had one time where I had a leak, and I had to stay in the hospital for 12 days. It is better to discuss things like that in the hall and then talk about it with the patient and family. When I was admitted, we had been in the ER all night and had been suffering through many sleepless nights before we arrived. I had a horrible headache, was exhausted, and all I wanted was to go to sleep. However, I had someone in my room non-stop for hours after being admitted. Finally, a nurse saw I was on edge and put a sign on the door that said, “Do NOT enter unless REQUIRED.” It was an amazingly kind act and let me get several hours of sleep. Sleep is important for the patient and the healing process. I had three doctors who were treating me at the hospital. Each one had his own ideas about the best treatment. Instead of spending 30 minutes together in a room talking about it, they would each tell their opinions to my mom and then ask what the other doctors said. From my experience, we could solve a lot of problems in the hospital if we just had ALL of the doctors treating the patient come in the room at the same time to discuss what is happening and to determine a plan together. Some hospitals are starting to do “patient-centered rounds”, but I haven’t yet had the experience of all of my doctors coming at one time. The discharge plan is important and needs to cover what to do in different situations. It shouldn’t just say call the doctor or go to the ER with these symptoms. I got home and had worsening pain and didn’t have any real plan to deal with it if the meds I was given weren’t enough. This made me suffer and worry about having to go back to the hospital. At our follow up visit to the neurologist, we were greeted with an iPad to fill out information. It asked SO many questions, and it really seemed to be a lot since I was an existing patient. Then, when we got into the room, all of the same questions were asked again. If you are going to ask patients to do work, make it meaningful and use what they give you. If you are going to ask the questions again anyway, skip the iPad or clipboard. I would rather have a conversation with the doctor than fill out the forms. Both the neurologist and the hospital have a patient portal. We have logged into both, and unfortunately that requires two different logins that have different requirements so we can’t even use the same user name and password. I actually am up to 7 patient portals so far. Then, when I do log in, the information is so very limited that it isn’t helpful. For example, none of the visit notes are there. Each has a medication list that isn’t correct and the hospital has a bunch of lab test results but that is it. It is great to have online access to my information, but this process needs to be easier for the patient. Unfortunately, I subsequently had a second case of meningitis. However, this time, I was much more prepared. My mom had requested all of the records, so this time she could give specifics to the doctor about what happened last time. We knew to ask for a sign on the door to let us sleep. We knew what meds worked and didn’t, and we made sure to stay at the hospital long enough to try out the home pain meds to be sure they treated my headache adequately. In other words, we did our part to make the experience better, and the doctors and hospital also tried to make it better. It certainly wasn’t perfect, and this experience inspired me to make videos, write blogs, and speak at medical conferences about patient experience. If everyone would work together, I believe can improve the experience for patients, families, and doctors. 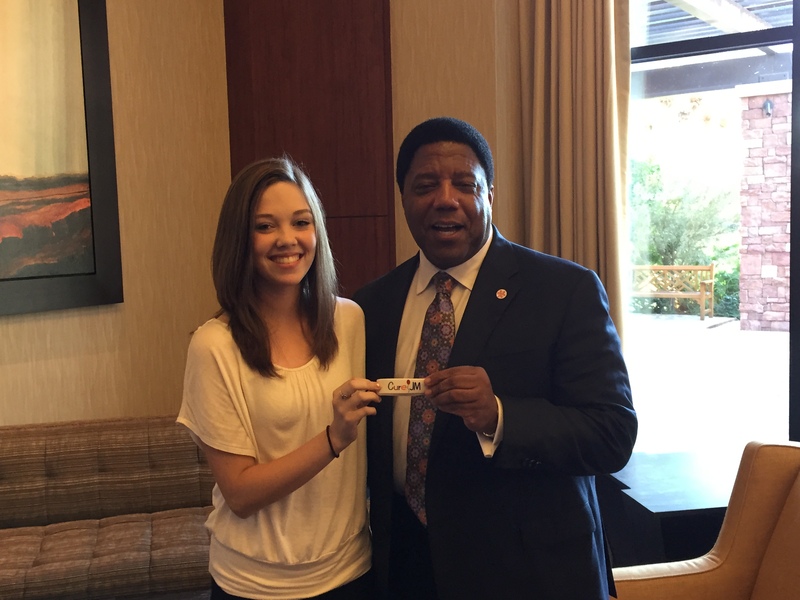 About the author: Morgan Gleason, a Florida high school student and patient experience advocate, shares her healthcare experiences to inspire change. Four years ago at the age of 11, Morgan was diagnosed with a rare autoimmune disease called Juvenile Dermatomyositis. After making a video that went viral while in the hospital for aseptic meningitis, she began recording more videos and writing posts for her blog as well as writing articles for journals and other healthcare sites. She enjoys sharing not only her frustrations with the system, but also simple examples of ideas and methods that can make it better. When she isn’t in school or working as a patient advocate, she is riding her favorite horse Riley. See more at http://morgangleason.com and follow her on twitter at @Morgan_Gleason. I was honored to be interviewed at Community Health Network a few weeks ago, and they were kind enough to share with me the video. The video above is a shortened version of the interview. First, they played my original, “I am a patient and I need to be heard” video, and in the middle, they played my “Why does everything beep?” video. Thank you to the Community Health Network for having me at your event. It was a lot of fun to share my story and to get to meet an organization that is working so hard to deliver a great patient experience. I love your Patients First idea.